Apple Class is a fantastic place for your child to learn. It is the perfect stepping stone from Reception to Key Stage One. Mrs Gould and Mrs Weston are our class teachers. To help ensure a smooth transition from EYFS, we work hard to make learning fun for the children and have regular periods of activity to enhance learning. These include regular playtimes, Active 5 sessions and PE. Apple class have two hours of PE from specialist coaches every week. PE is dance with Mr Sapsed on Wednesday and multi-skills on Thursday with Mr Taylor. As a Christian school, Religious Education and prayer is an important part of our curriculum We make sure we provide the children with a place and the time to reflect and pray. Our new dedicated classroom IT area allows us to teach a large group of children IT skills that are essential for every day life. 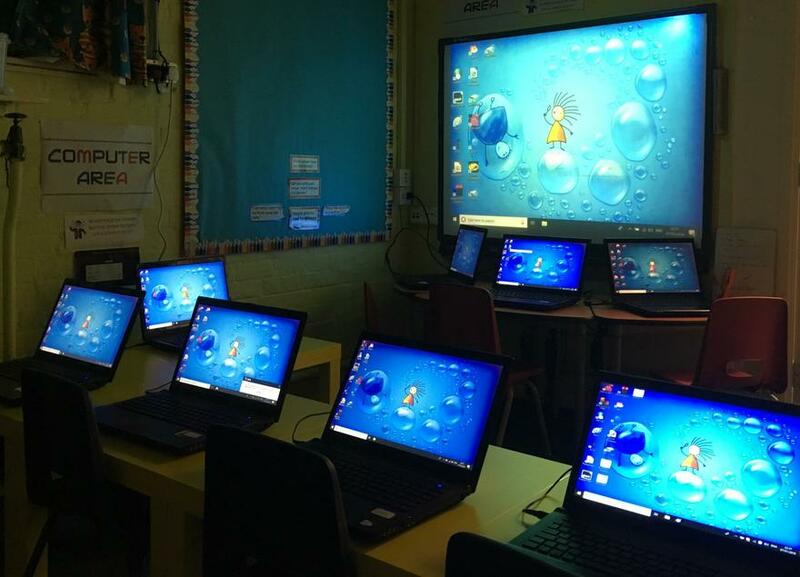 Using the latest Windows 10 operating System, our Year 1 pupils learn many useful computers skills such as using the internet to research, Word Processing, Art and animation, as well as full access to the various websites we subscribe to, such as PurpleMash, ActiveLearn and Mathletics.